They will be available for pre-order starting July 15, 2015. 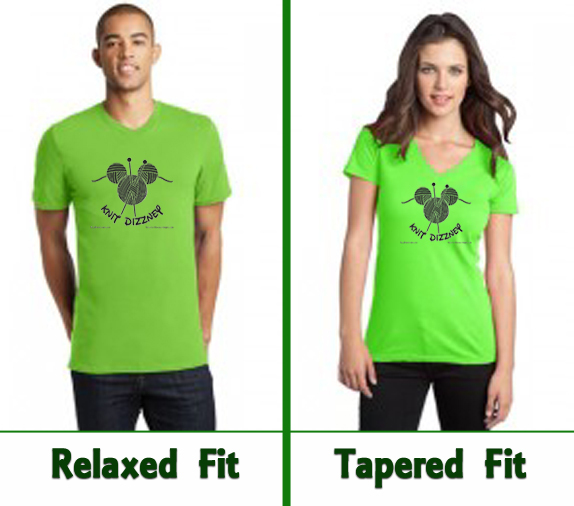 This year, t-shirts, yarn & project bags will be on the same form. Deadline for pre-orders is August 7th, 2015. This will allow time to print the shirts and to ship them out so they can be worn at Knit Dizzney. 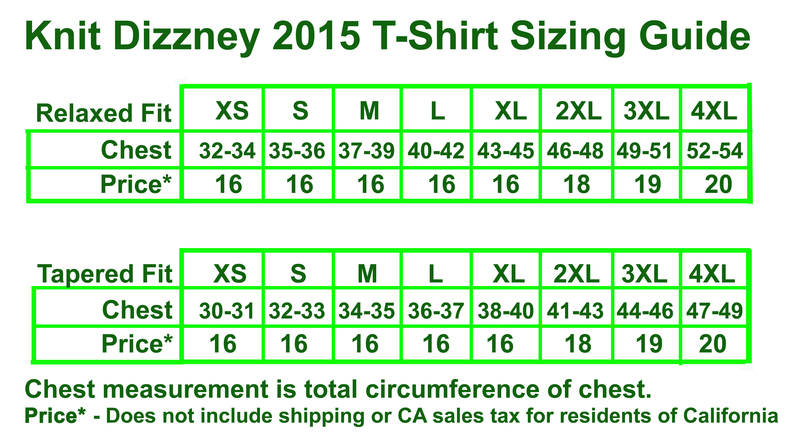 There are 2 types of t-shirts this year, Relaxed Fit (unisex) & Tapered Fit (Women’s), so check out the size-chart below to make sure you order the desired style in the right size. *Attractive models are not included with purchase…dammit!